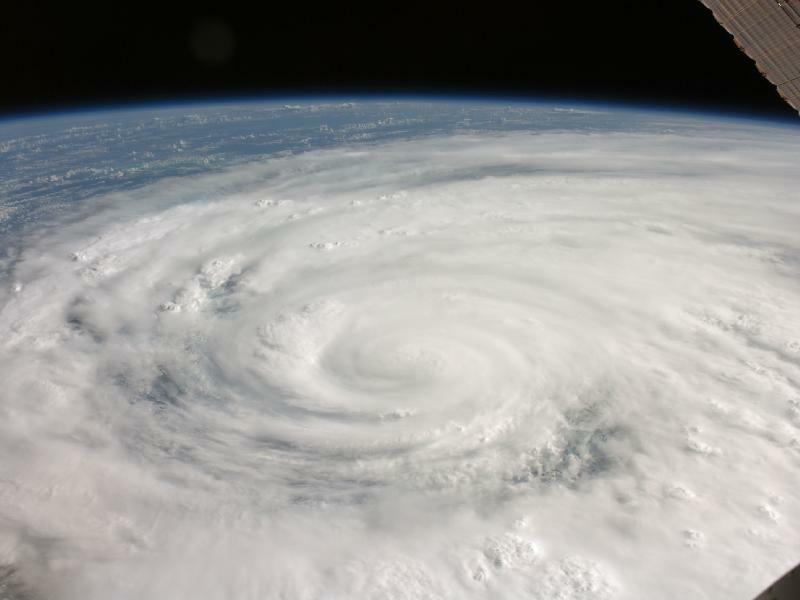 This weekend, Hurricane Ike barreled into the Gulf Coast of Texas, causing extensive damage to Houston, Beaumont, and Galveston. Here in Austin, just 160 miles from the landfall point, we had winds of about 10-15 miles per hour, and no rain (there were some sprinkles on my car windshield at one point, but not enough to even need the wipers). I did, however, have an unpleasant run-in with FEMA. I was driving my recycling downtown when I passed a FEMA convoy. The wind was a little gusty at the moment (not TOO bad, the official wind gusts were all under 25 miles per hour), and a couple of the FEMA trucks towing trailers started getting blown all over the place, taking up a good lane-and-a-half. I thought, "Great. I survived the non-disaster, and FEMA still will manage to find a way to kill me." What surprised me the most, though, was local panic in places on Friday night. It had been clear since Thursday afternoon that Austin was not going to see much of the storm. So, although I had food at home, I decided to stop in the supermarket to get a frozen pizza and some chicken for the grill. The store was a zoo. Bread was flying off of the shelves, as was water. There was plenty of milk. People were irritable and in a foul mood. When I checked out, the clerk told me that several of the local gas stations had run out of gas (I didn't bother to try and verify this, since I had plenty of gas anyway). I'll admit, I was a bit surprised. There are three full-time weather stations on cable TV (the Weather Channel and two local variants). The National Hurricane Center has a website with detailed and well-presented updates every few hours. Many local people have weather radios. There are at least a jillion local and national weather websites. And, of course, there are normal weather reports on TV and radio. All were saying we were in for some light to moderate winds, a chance of rain, and that was it. Yet people were panicking! So much for living in the Information Age. I don't mean to belittle the need for caution. Certainly, the people of Houston, Beaumont and Galveston needed to take precautions and get to safety, and for good reason. (It amazes me that some people didn't take appropriate precautions.) But there was no lack of information telling Austinites that the worst we would have is some rain and some wind, maybe a power outage or two if a tree blew over. I'm sure there are interesting studies in psychology, herd mentality, information processing, and education in there somewhere. But, that's not my field. Time to go back to looking up. To the people of the Texas Coast, my heart and thoughts are with you. To the rest of you, please consider donating money to relief efforts, such as the American Red Cross. The storm is gone, but relief efforts take years. Just ask the people of New Orleans.